Formulas are mathematical statements that apply to a cell, or, through vectors, to a range of cells. They can also apply to cells in different worksheets or different workbooks. Use this example for formula demonstrations. 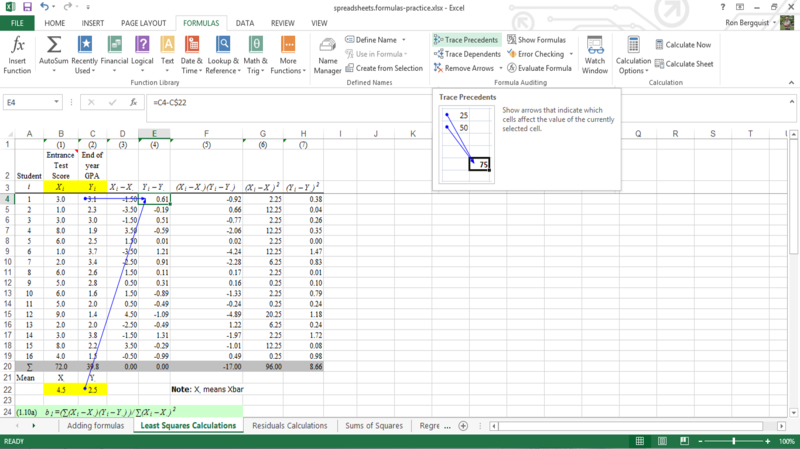 All formulas start with the = sign, and are followed by cell addresses and mathematical operators. (parentheses) are to establish precedent. The result is held as a subtotal for further calculations. Where parentheses are enclosed within parentheses, they are calculated from the inside set to the outside set. 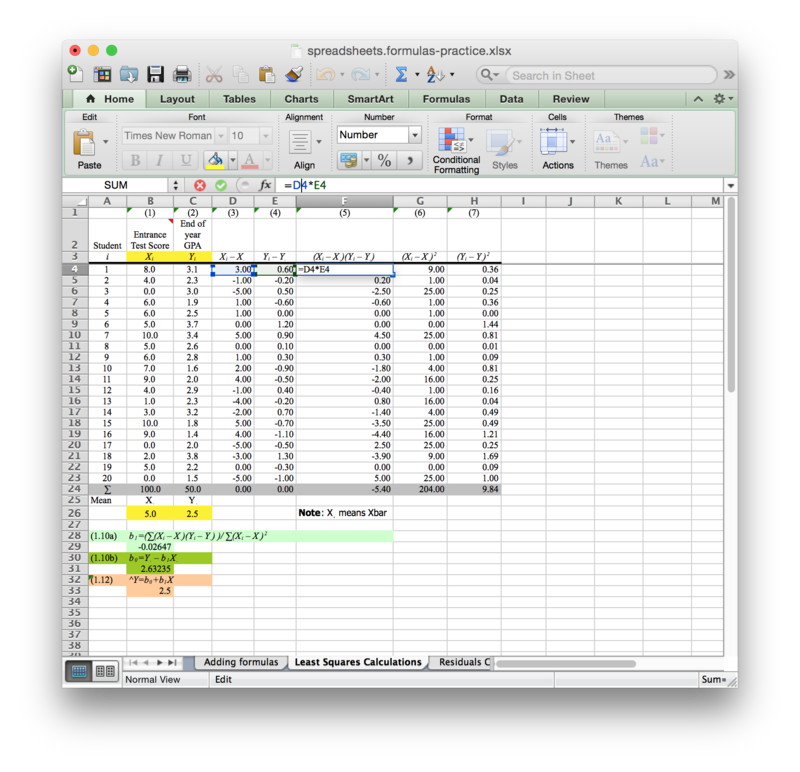 cell reference is a location on the sheet containing a value to work with. Unless fixed by user input, all locations are vectors, relative to the location of the cell that contains the formula. 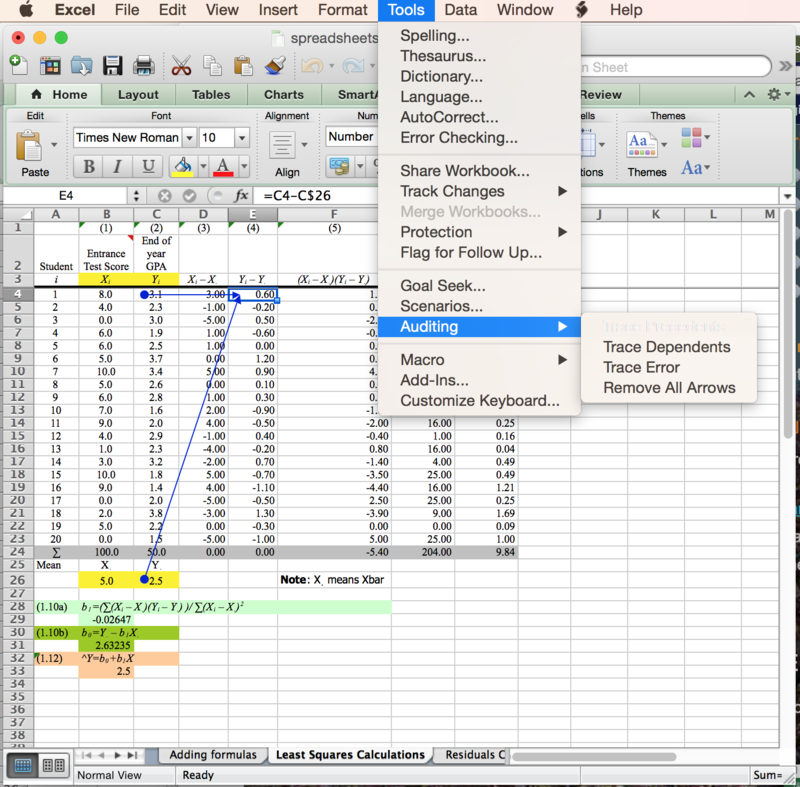 Click or type the = character, and then enter the formula. Remember to start all formulas and functions with the = sign. 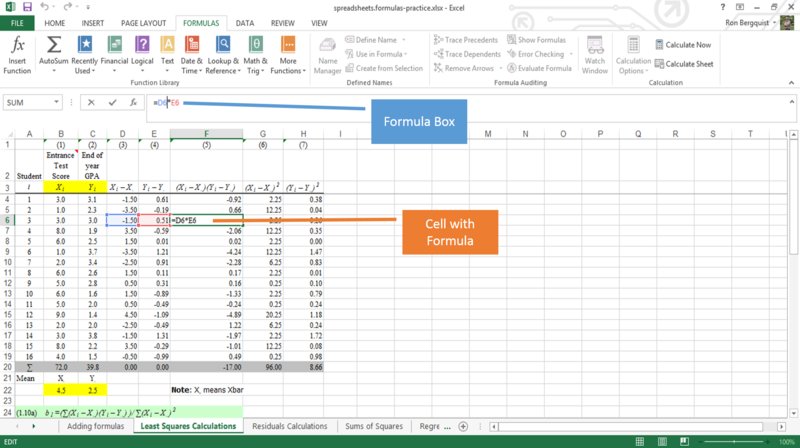 place the cell address of the cell that contains the number you want into the formula. That way, if the number changes, the formula remains correct. the result is held as a subtotal for further calculations. Where parentheses are enclosed within parentheses, they are calculated from the inside set to the outside set.